Earlier this summer, we lost an amazing animal: Jake, the remaining member of the dynamic lion duo many visitors and staff alike have so many fond memoires of, the wonderful Jake and Juanita. 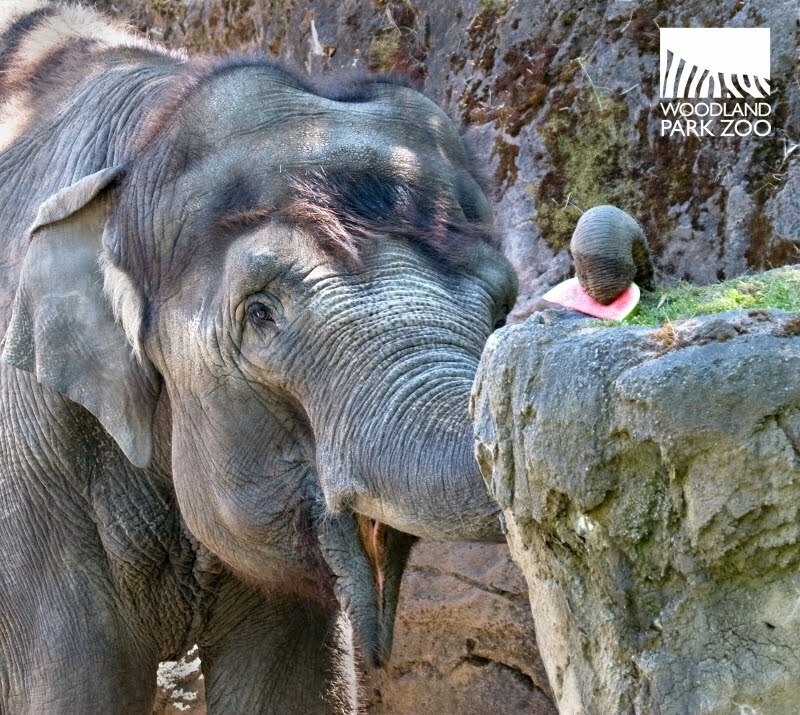 Jake was born at Woodland Park Zoo on June 10, 1991. 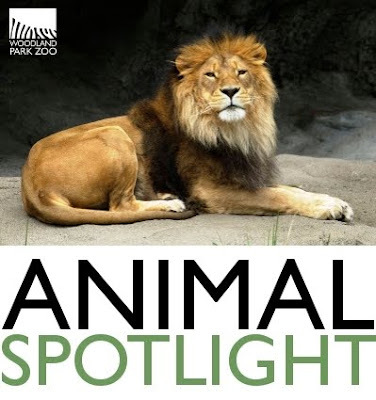 According to longtime feline keeper Dana Wooster who began taking care of him when he was 11 months old, as a young lion Jake was always getting into trouble with his twin brother, Elwood. 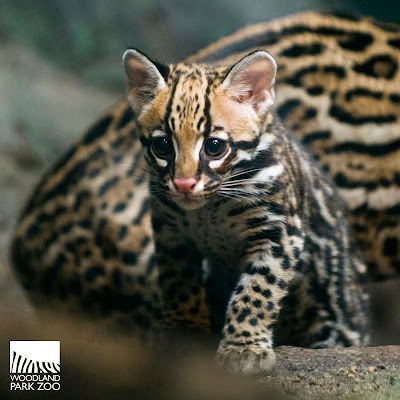 The two of them were very playful and were forever sneaking up and pouncing on their parents and aunts. At some point their mother, Sukari, gave up trying to keep them in line. Because of their mischievousness, Dana always imagined that if Jake and his brother had been human they would have been stealing hubcaps or committing other petty crimes. As they matured their manes began to grow, first into spiky mohawks, making them look quite punk, and then into magnificent manes. 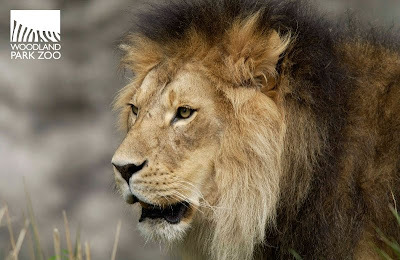 Jake took after his father, Josh, who had a beautiful full mane that reached to his hind legs. By 2001, Jake was all by himself, the last remaining member of his family. That is when the lovely Miss Juanita joined the picture. 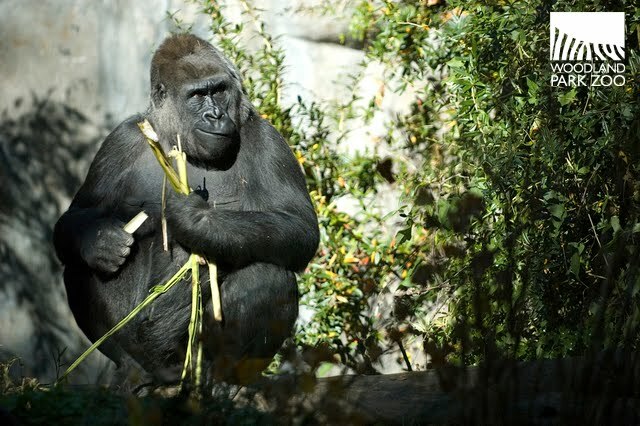 She came to us from another zoo where she had also been by herself, and their introductions could not have gone better. 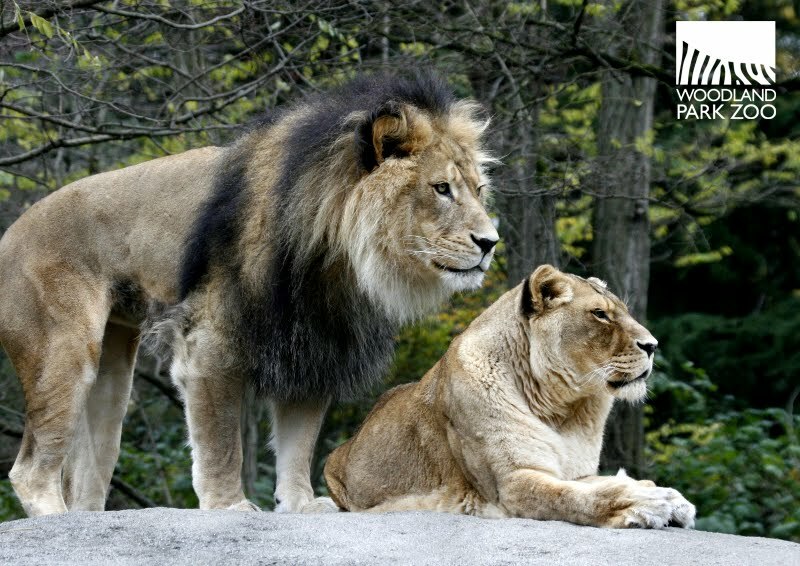 They quickly became the regal king and queen of the savanna, and frequently could be seen butting heads in greeting, grooming each other, or simply just resting together. 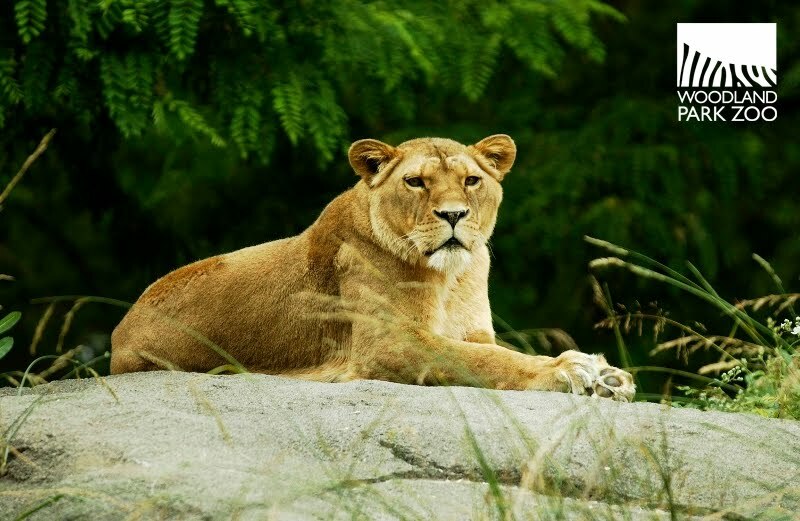 When the South African lions Hubert and Kalisa arrived, Jake and Juanita moved to the off-exhibit enclosure where they would both live out the rest of their lives. This enclosure is just behind the savanna lion exhibit, and the lions could see each other during parts of the year when the foliage was less dense. They could frequently be heard calling back and forth to each other, a sort of competition between couples, seeing who could outdo the other. Often these challenges were initiated by Jake, who had an advantage that he made full use of—the large dens and hallways of his enclosure where even the smallest sound echoes like a freight train. It always seemed as though Jake thoroughly enjoyed roaring and hearing the sound of his own voice. We would often see him facing a wall, either outside or in a den, roaring his heart out. It was during the time that Jake and Juanita lived off-view that I started taking care of them on a regular basis, and began to appreciate their grace and beauty on yet another level. 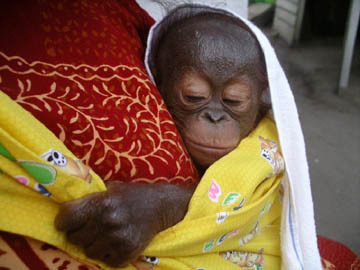 Juanita had been ill, and although it had not been confirmed, it was suspected that she had cancer. She started becoming very picky about what food she would eat, and as a result started to lose weight. When her normal diet of chicken and rabbit no longer provided enough nourishment, I started experimenting with other meats, and discovered she really liked pork. The clerks at the grocery store must have thought I really liked pork based on the amount I would purchase weekly. How the food was presented mattered as well, sometimes Juanita would like a large chunk of meat and other times she wanted small pieces hand fed to her. At one point I even tried pureeing chicken and feeding her from a spoon. Despite my efforts it was clear Juanita was continuing to decline. Finally one day she just simply stopped eating. Juanita was one of the most amazing animals I have ever had the pleasure to work with. She had this way of looking directly into your soul. Losing Juanita around one year ago was one of the most difficult experiences I have had in my zookeeping career. With Juanita gone Jake was again by himself. For several days every time I opened a den door he would come looking, and I imagine he was searching for his lost companion. I thought Jake might be depressed and stop eating, but he was more resilient than I had expected him to be. I think what helped the most was he still had a job to do. He needed to protect his territory from the lions across the way, and now the responsibility fell solely on him. As the months wore on I really noticed how Jake was aging. He would stumble a little while he walked, he was definitely stiff when he got up, and his vision was getting worse. But even as an elderly lion he was still magnificent and when he roared I was reminded of his power. 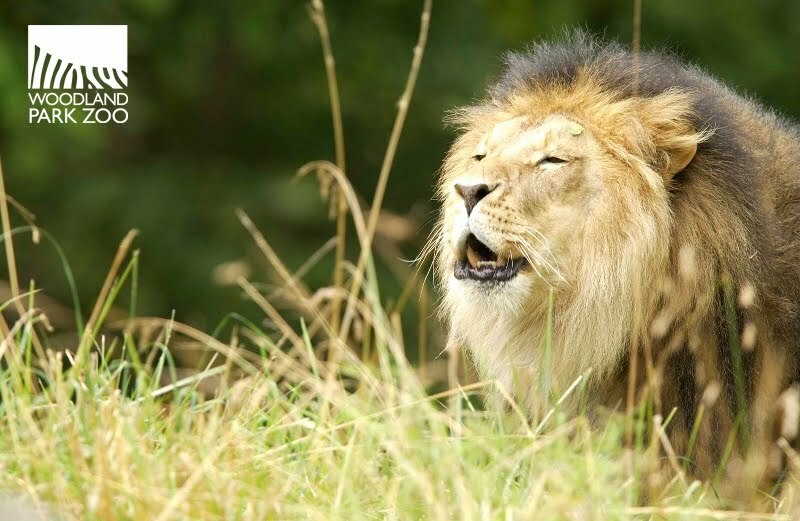 Despite his age-related changes his roar was still as it had been that first day I stood in front of him in awe. The day before Jake left us Dana and I were standing by his den, watching him eat his dinner which he appeared to be thoroughly enjoying. He looked up from his rabbit and roared for us again. I will never forget sharing that special moment with the other keeper who took care of him for most of his life and loved him just as much as I did. Dana joined in with Jake that evening, quietly singing the lioness’ part, completing the duet. Although I know we will all miss him terribly, Jake’s memory will live on. 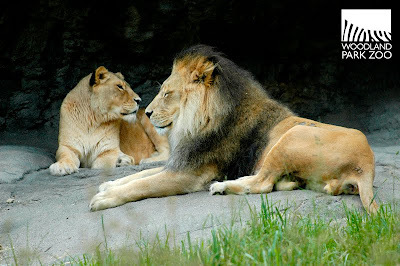 A few months ago a friend forwarded me one of those email chains where there are photos set to music and wrote, “Check out the photo near the end.” As I watched the images of animals flash across the screen suddenly there was a photo of Jake and Juanita, sitting together on the large rock outcropping in the African Savanna exhibit. The beautiful lions that I loved so much were there for the whole world to see and enjoy. They were truly an inspiring couple, ambassadors to their wild lion cousins, and provided a sense of wonder to all who had the pleasure of seeing them. Thank you beautiful Jake and Juanita for giving us so much joy and for showing us the regal and magnificent nature of lions. You have touched our lives forever. Photos (from top): Dennis Conner/Woodland Park Zoo, Dennis Conner/Woodland Park Zoo, Mat Hayward/Woodland Park Zoo, Dennis Dow/Woodland Park Zoo, Dennis Dow/Woodland Park Zoo, Dennis Conner/Woodland Park Zoo, Mat Hayward/Woodland Park Zoo, Mat Hayward/Woodland Park Zoo, Ryan Hawk/Woodland Park Zoo. Coming up: Red, White & Zoo! 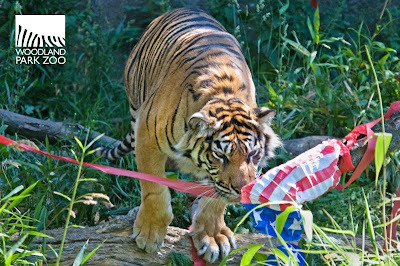 Even the animals will have a blast over the Fourth of July weekend with our annual Red, White & Zoo enrichment event, presented by Zookeeper and Columbia Pictures. 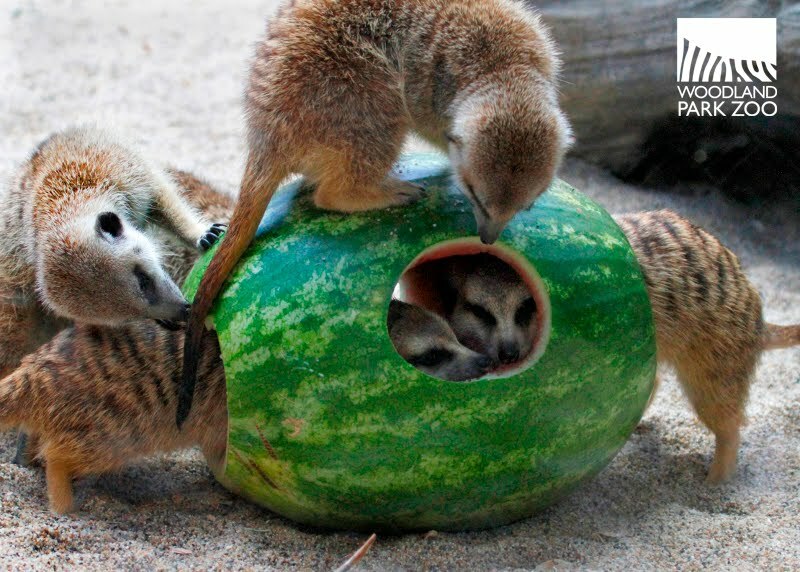 Before you get your grill going, celebrate with us this Friday and Saturday, July 1 and 2, from 10:00 a.m. – 2:30 p.m. and see meerkats, grizzlies, orangutans, hippos and many more animals enjoying a Fourth of July picnic featuring a menu of star-shaped popsicles, watermelons and even corn on the cob! The Fourth of July-themed treats are part of the excellent animal care program at Woodland Park Zoo and the zookeepers’ ongoing efforts to help enrich the lives of the zoo’s animals, promote natural animal behavior, keep animals mentally stimulated and engage zoo visitors. 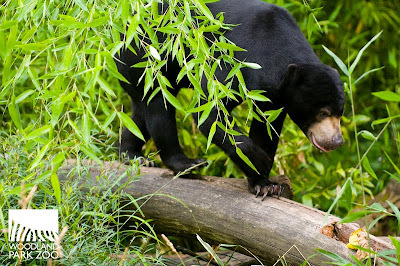 Golden lion tamarins - 11 a.m.
Malayan sun bears - 12:15 p.m. The event is free with zoo admission or membership, but if you’re looking to save even more, consider riding transit to the zoo—through September 30, you’ll get $2 off your admission when you show your valid Metro bus transfer or ORCA card as proof of ridership at any admissions gate. Snow is in the forecast at Woodland Park Zoo with the hatching of a snowy owl chick! This owlet was hatched on June 13 but we have not yet determined the gender of the chick. Keepers have been monitoring the owlet and it appears to be in good health. The parents and chick live in our award-winning Northern Trail exhibit, but you won’t be able to spot the chick just yet as mom is sitting on the nest taking good care it. The owlet is growing very quickly, and it might be just another week or two before visitors will be able to spot it. This species of owl is migratory and nomadic. Every seven to 10 years, the Arctic-dwelling snowy owl appears in Washington state during winter months in large numbers, known as an "irruption," a period when young owls leave their breeding range in search of food. Many raptor species are facing decline due to human-imposed activities. Raptors provide many benefits—they consume many animals that humans consider as pests, such as rodents and destructive insects, and they help keep animal populations in balance. Catch one of our Raptor Flight Programs to learn more about raptors, the role they play in the environment, and how we can help protect them. 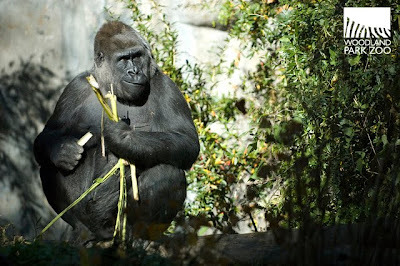 Photos by James Scott/Woodland Park Zoo. 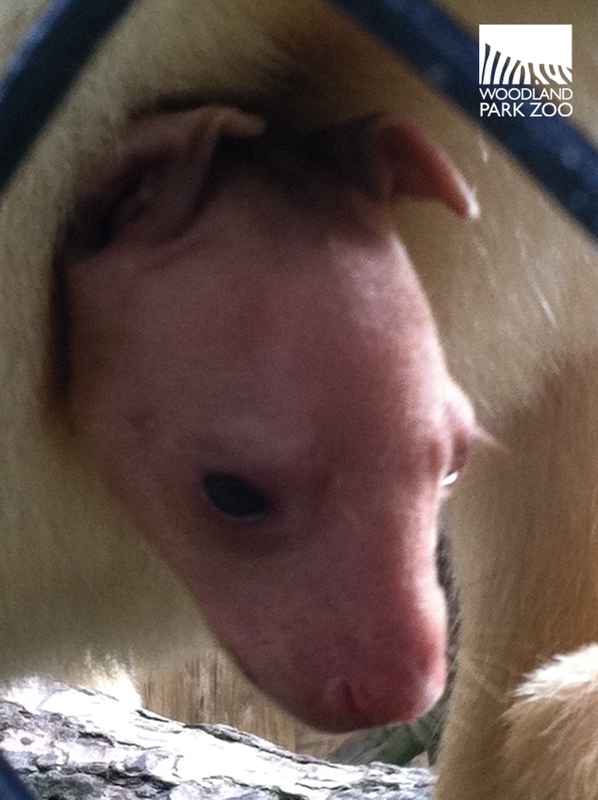 Our little tree kangaroo joey is showing its face a bit more these days. We’re excited to catch and share these glimpses of the joey that is just now starting to emerge from its mother’s pouch at six months—that was a long wait for us to get a peek! 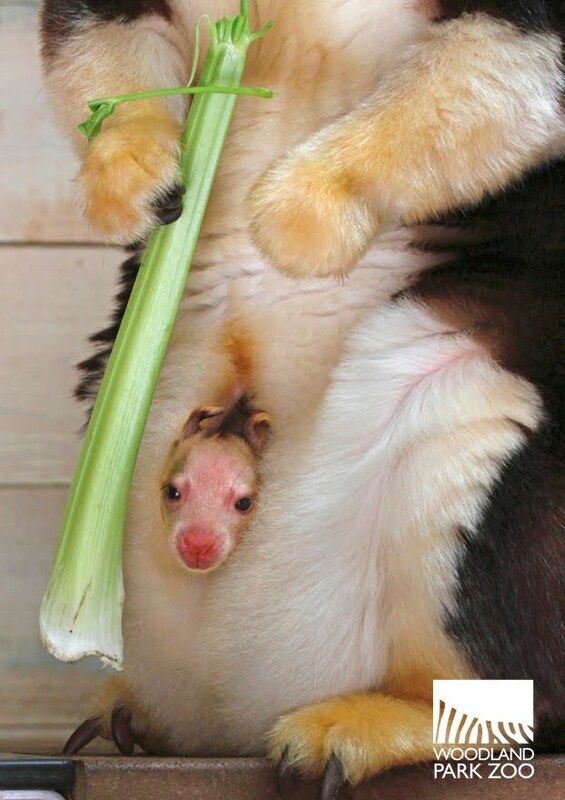 A tree kangaroo joey will typically remain in its mother’s pouch for about 10 months. Once out, it’ll continue to return to its mother’s pouch until it is fully weaned, usually at around 13 months. Tree ‘roo mom Elanna is taking good care of the joey and the two are doing well in a quiet, behind-the-scenes exhibit at the zoo. Woodland Park Zoo is home to the Tree Kangaroo Conservation Program that is working to protect the endangered tree kangaroo and help maintain the unique biodiversity of its native Papua New Guinea in balance with the culture and needs of human communities. 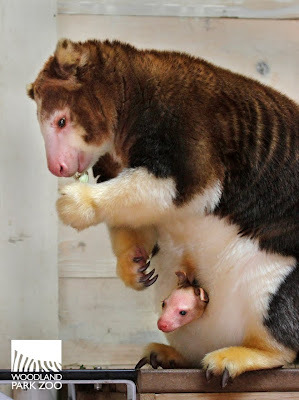 If you’d like to help conserve tree kangaroos, you can go to www.zoo.org/treekangaroo/give, or use your cell phone to donate $5 to the program today by texting ROOS to 20222. Messaging & Data Rates May Apply. All gifts will be doubled by a generous $1 million match from Conservation International until June 30, 2011. For more info visit www.zoo.org/treekangaroo. Thank you for your support! Last week we shared some photos from our Bear Affair event held June 4. In our latest video, you can see 700-pound grizzly bear brothers, Keema and Denali, in action. Watch with your sound turned up to hear bear expert and zoo conservation partner Chris Morgan provide insight on bear safety as the grizzlies show us exactly how much damage they can do to our campsites and backyards. Always be bear aware. 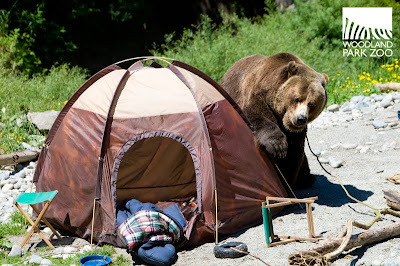 If we do our part to keep attractants like garbage, birdseed and barbecues contained when camping or living in bear country, practice bear safety and give these animals plenty of space, we can help protect not just bears but people too. And never keep marshmallows in your sleeping bag! For more info on grizzlies, how we're protecting them in Washington state and what you can do to be bear safe, visit: http://bearinfo.org/. Video shot and edited by Kirsten Pisto/Woodland Park Zoo. Next Thursday, June 23, the Seattle Foundation is promoting GiveBIG, a communitywide day of online giving to local non-profits. 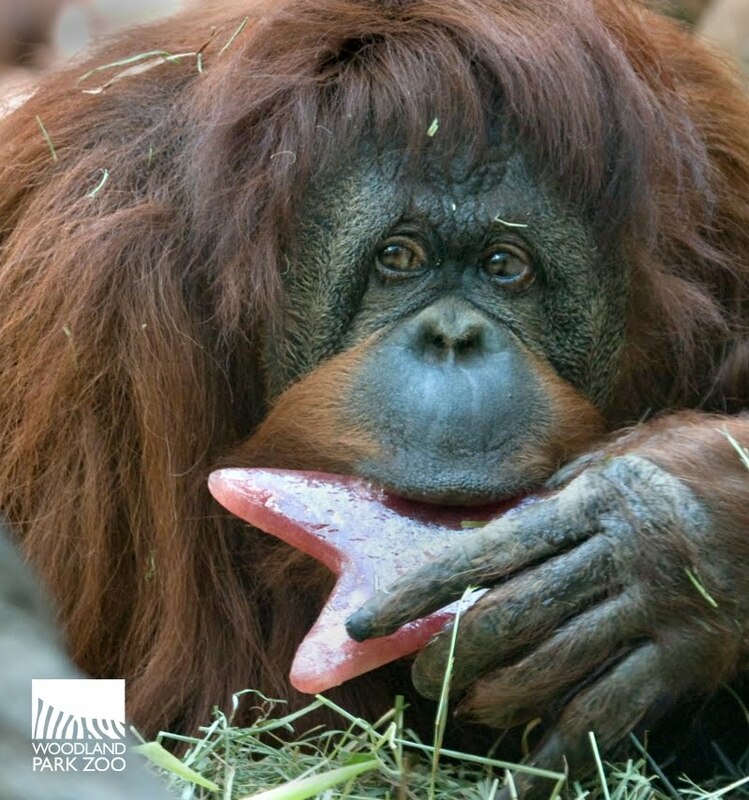 On this day, gifts to Woodland Park Zoo made through the GiveBIG event will be stretched by the Seattle Foundation. This is especially exciting because every dollar will go towards our Campaign for More Wonder More Wild that will not only support our ongoing commitment to animal care, conservation and education, but also help us to build a new, naturalistic exhibit complex for tigers and Asian bears. 3) Funds from a stretch pool created by the Seattle Foundation and local businesses will automatically be added to your gift. The more money we raise on GiveBIG day, the more money we receive from the stretch pool! $20 supports one day of conservation research for our partners, working with raptors in eastern Washington, hornbills in Thailand or orangutans in Borneo. $25 supports one day of daily care for one of the zoo's ocelots. 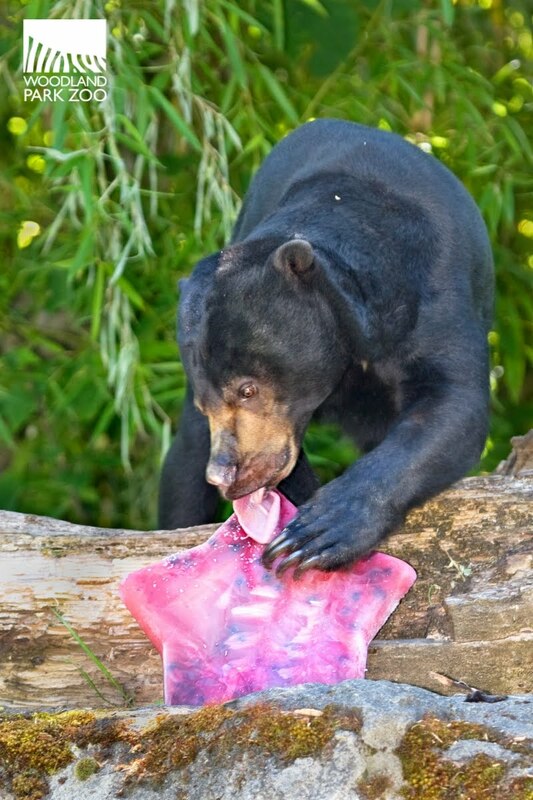 $55 supports the daily care of one of the zoo's Malayan sun bears. $500 brings an up-close animal encounter to a local classroom. $750 supports one month of fresh browse for the zoo's animals. 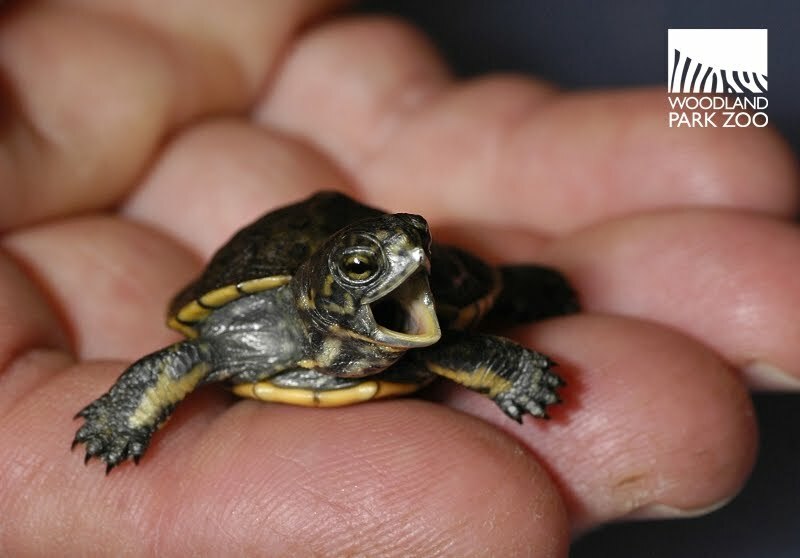 $2,000 supports western pond turtle recovery for one month, helping re-establish these state-endangered animals in their native habitat right here in the Pacific Northwest. All gifts support the zoo’s More Wonder More Wild campaign and a gift of any size makes a difference! Let’s get the whole community involved. Be sure to RSVP for GiveBIG on the Seattle Foundation’s Facebook page and spread the word about the event to your friends! 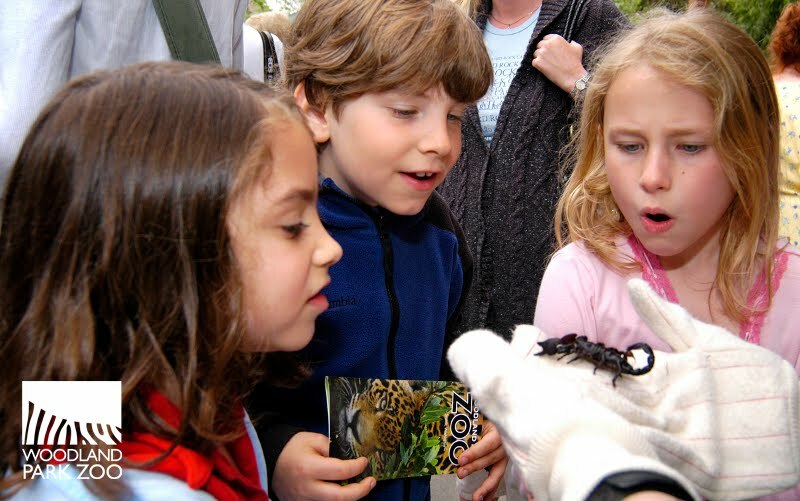 You can learn more about our Campaign for More Wonder More Wild and how to get involved beyond the GiveBIG event at http://www.morewonder.org/. Thanks for your support! 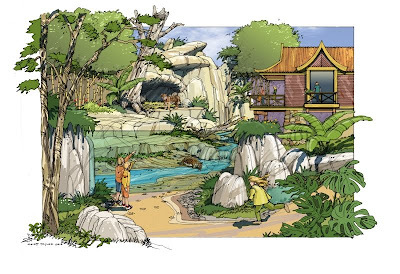 Images: Tiger exhibit artist's concept rendering by Scott Taylor, orangutan photo by Gunung Palung Orangutan Conservation Program, all other photos by Ryan Hawk/Woodland Park Zoo. Video produced by Trifilm Productions, Ryan Hawk, Phil O'Sullivan, Bettina Woodford. 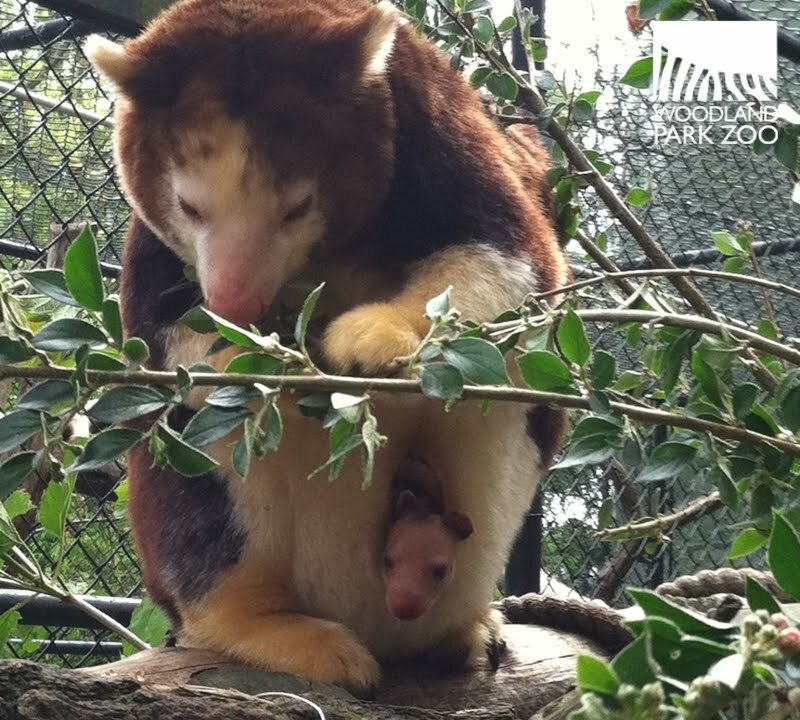 Exciting news—we’ve made the very first sightings of our Matschie’s tree kangaroo joey! At six months old, the joey is just now beginning to emerge from its mother’s pouch. 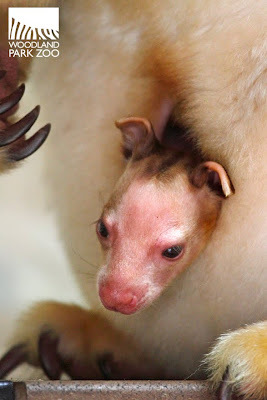 First the keepers spied only the joey’s ear poking out of the pouch, but within a few days, its whole face emerged. Joey’s face emerges. Photo by Wendy Gardner/Woodland Park Zoo. Born the size of a lima bean in December 2010, the joey has been developing unseen inside its mother’s pouch where it gets nourishment and protection. Tree ‘roo mother, four-year-old Elanna, has been cleaning the joey and providing excellent care. The two are living adjacent to father Huen in a quiet outdoor exhibit behind the scenes at the zoo where keepers can closely monitor the progress of mom and joey. 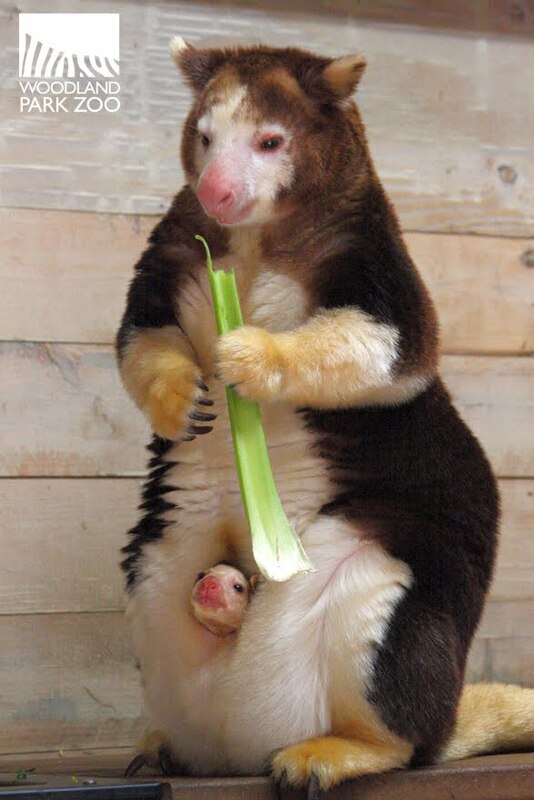 Mother Elanna feeds while joey remains protected in pouch. Photo by Wendy Gardner/Woodland Park Zoo. This rare birth, part of the cooperative breeding Species Survival Plan program for this endangered species, is especially thrilling for us—this is our first tree ‘roo joey since 1998! It will be several months before the joey fully emerges out of its mother’s pouch, but we’ll be sure to post updates to share with you all what is happening with mom and joey in their behind-the-scenes exhibit. Matschie’s tree kangaroo in Papua New Guinea. Photo by Bruce Beehler/Conservation International. The Matschie’s tree kangaroo represents one of Woodland Park Zoo’s flagship conservation programs, the Tree Kangaroo Conservation Program (TKCP). Under the leadership of WPZ senior conservation scientist Dr. Lisa Dabek, TKCP is working with the people of Papua New Guinea to save endangered tree kangaroos and their habitat, while improving the livelihoods of local communities that share resources with tree ‘roos. Huon peninsula, home of Papua New Guinea’s first Conservation Area. Photo by Bruce Beehler/Conservation International. In 2009, TKCP worked with PNG government and villagers to create their nation’s first ever Conservation Area, protecting 187,000 acres of forest habitat pledged to conservation by the local landowners. 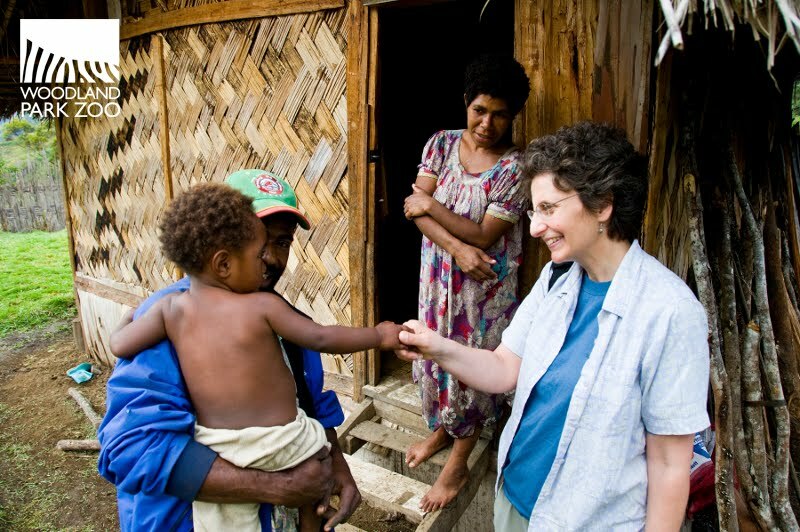 WPZ’s Dr. Lisa Dabek works closely with the communities of Papua New Guinea. In exchange, we’re helping these communities find alternative, sustainable livelihoods including a project to make coffee from this region of PNG available to Seattle coffee shops for the first time. Papua New Guinea farmers sort coffee berries. Photo by Zachary Wells/TKCP. At Bear Affair this weekend, zookeepers teamed up with bear ecologist Chris Morgan from the Grizzly Bear Outreach Project—a Woodland Park Zoo Partner for Wildlife—to demonstrate what happens if we don’t follow safety precautions when living or camping in bear country. Our partners at GBOP want us all to be Bear Smart and act responsibly to ensure the safety of people and bears. They tell us sanitation and common sense are the keys to preventing problems. 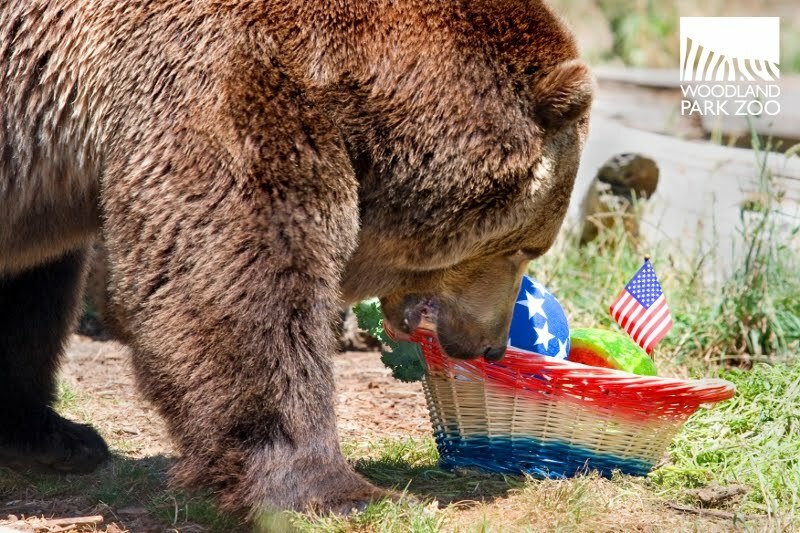 Remember, food and odors attract bears. Carelessly stored human food, livestock feed, garbage, and even barbeque grease and bird seed can attract bears and keep them coming back. Do not allow a bear to get a food reward and associate that reward with humans—you may endanger yourself and other people, and the outcome is often the unnecessary death of a bear. Bear Affair visitors learned Bear Smart tips and practices, but if you missed the event, you can find those tips at the GBOP website. Be safe! 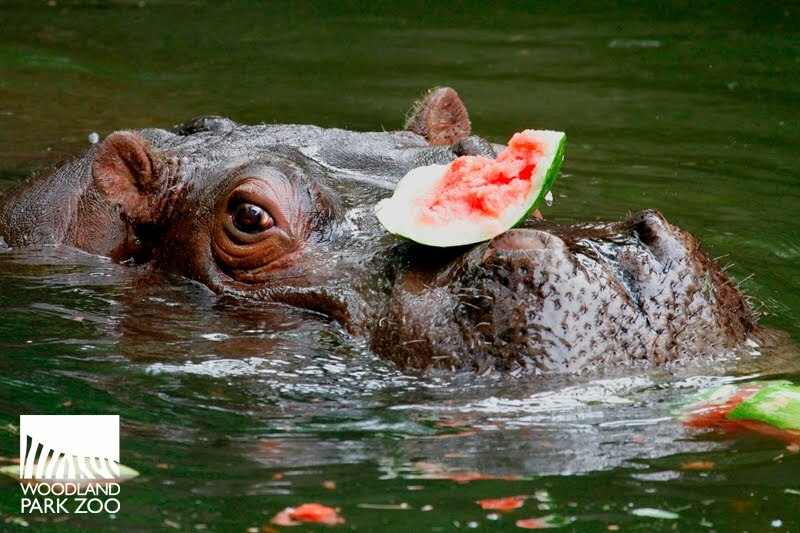 Top photo by Mat Hayward/Woodland Park Zoo. At the end of April, the kids at an Upper Eastside Manhattan first-grade class were treated to something special: a "virtual visit" via Skype with Woodland Park zoo penguin keeper, Celine Pardo. 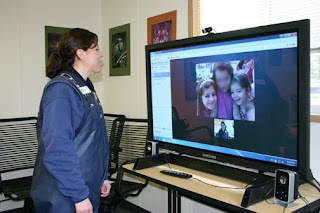 The class had been studying penguins and when they discovered that WPZ had won the Association of Zoos & Aquariums' Exhibit Award for our Humboldt penguin exhibit, they sought out to speak with us. After contacting us via email, their teacher Jen arranged the live interview. Celine, along with several penguin props, interacted via Skype with the kids. They had incredibly astute questions for her, gleaned through their studies. The first-graders ask everything from the details of penguin evolution to where are a penguin's ears. Both the kids and Celine had a great time. 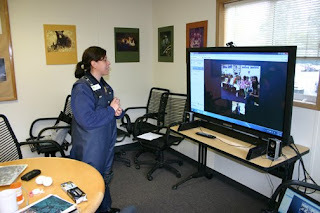 Before the Skype interview, the kids used books, a few used the Internet, interviews with other people in our school and their own prior knowledge to collect information about their animal. I wanted the class to come away with the idea that experts in areas and authors use varieties of ways to collect information. They have been studying their animal for about four weeks and are getting ready to write a non-fiction book about their topic. The children were free to research and explore any information about their animal topic. However, after various classroom conversations, we charted some big ideas that were helpful to guide their research (what their animal looks like, what and how it eats, lives, predators/how they protect themselves, life cycle, how their animal moves, etc.). After today's Skype, the children and I had a group talk about the new information we learned. Then they had a chance to write down these new facts and add them too their research folders. This was truly and amazing experience and a first for our school. Again, thank you for taking the time to connect with us. Thank YOU Jen and your class for your great questions and your innovative way of connecting with us. This type of interaction shows the impact that we can have on kids and nature-learning---even 2,500 miles away!